Recommended to: Readers who love fabulous fantasy mixed with a hint of romance! Earlier this year, Seeds of Discovery totally stole my heart. I loved Quinn, Thomas, William and all of the other Rose children. In fact, my one and only complaint was that things took a little while to get going. By the time I had gotten to the end of the book, all I wanted was more. 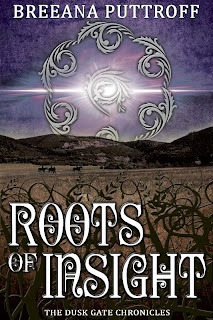 So of course when I saw that Roots of Insight, the second book in the series, was done I was all over it! I had such high hopes, and I wasn't the least bit disappointed. This is a sequel that I instantly fell in love with! Things pick up right after the ending of the last story, and Quinn is having a hard time adjusting to being back in her world. I appreciated the fact that Ms. Puttroff showed the difficulty that Quinn was having understanding how to co-exist. It made sense to me. How could you have two completely wonderful existences, and then just instantly be able to choose one? The time difference between her home world, and the world of the Rose children, definitely makes things interesting. Which leads me to my next point. The romance. Oh my! Quinn is a very lucky girl, because two equally amazing boys are hoping for her attention. I'm truly not sure which one of them I would pick. Let's be honest. Between William and Zander there is no wrong answer! Both sweet, both sincere, these are two boys I would happily date. Watching Quinn battle her feelings, and try to choose where she wants to be, is heartbreaking and wonderful. 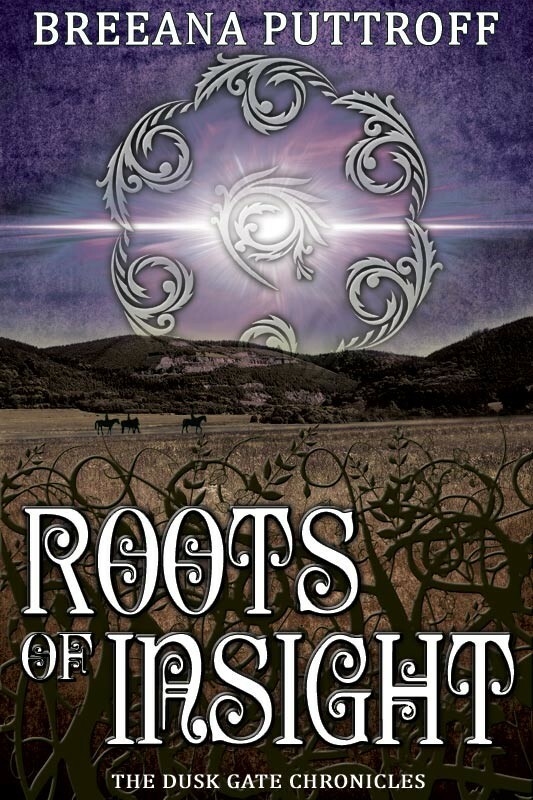 Best of all, Roots of Insight flies by with a manic pace! Well, actually that kind of made me sad, since the next book isn't ready yet and I absolutely need more story. Still, it makes this a book that is a joy to read. I have to give Breeana Puttroff a huge hand for building a series that has it all. From the characters, to the world, to the story line, this is a set of books that are easy to fall in love with. I can guarantee you'll be hooked. Long story short? Loved this one! If you have already started the series, pick this up now! If not, make sure you go get the first book and dive in. I will warn you, the ending is completely out of left field and a massive cliffhanger. I cannot wait for more! Please write faster Ms. Puttroff, I'm anxious to see what happens next.